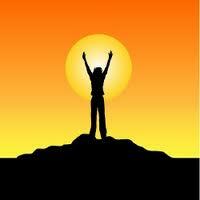 Willpower is the inner strength and the inner engine that propels towards success and achievement. It is the power that pushes into action in every area of life. Willpower is one of the most important and desirable inner powers, and its lack or presence determines whether you will fail or accomplish your desires and ambitions and attain success. Willpower is erroneously considered as a quality belonging only to highly successful people, who depend on strength and force to achieve their goals. The truth is that it can be developed by everyone, and it is important, useful and desirable in the small affairs of life, as it is in the achievement of major goals. If you usually feel too lazy, developing your inner strength will help you to overcome this laziness. If you usually procrastinate, possess low self-esteem, feel weak and vulnerable or lack self-control, strengthening this power will help you too. Willpower, which is inner strength, manifests as the ability to control unnecessary and harmful impulses. It also manifests as the ability to decide, abide by this decision, and follow it with perseverance until its successful accomplishment. This ability gives you the courage and strength to endure and overcome inner and outer resistance and opposition, difficulties and hardships. There are many who lack the inner strength to say “no”. Others find it difficult to follow and assert their ideas and beliefs. Some are afraid to take action and make changes or they lack resolution and the persistence to go on with their plans to the end. A strong power of the will can change all this. It is the right and privilege of everyone to develop this ability. Everyone can develop it to a greater or smaller extent, depending on the desire, earnestness, ambition and time devoted to developing and strengthening this inner power. Developing willpower and inner strength is a gradual process that anyone can undertake. Some will be able to reach higher levels of power, while others will reach different degrees of development, but the way is open to all. You will have to give up some unnecessary and harmful pleasures and change some unhealthy habits, but this is for a higher good. You give up something harmful or useless, in order to gain strength and power that will help you in every area of your life. In fact, the whole process can be turned into an absorbing, enjoyable and interesting challenge. 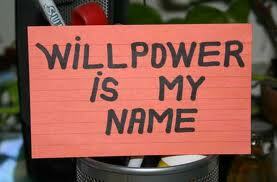 Training and exercising your willpower will fill you with strength, courage, and assertiveness. As your power grows, it will be easier for you to get rid of habits and attitudes that stand in your way to a better life. You will gain inner strength that will help you at your job and at home, in your relationships, with carrying on your tasks and with accomplishing your ambitions.